What's left of the Kendal Work house has been converted to townhouses now, in a development called Strickland Court. Originally built in 1769 on Windermere Road, in those days called House Of Correction Hill, the work house was able to accomodate around 80 people. In 1776, plans were drawn up that would enable it to take in more of Kendal Parish's poor. In 1795, there were around 136 people in the Work House. Above. Kendal Work House Manager's residence. In 1800, the children of the Work House were employed to teas wool, which was then handed to the adults to weave on hand looms, for the production of 'hardens', a form of coarse sacking. This form of work was carried out on the premises for around 50 years. From the 1820's, children at the Work House, were offered out to local businesses as apprentices. Above. The manager's house and the courtyard. 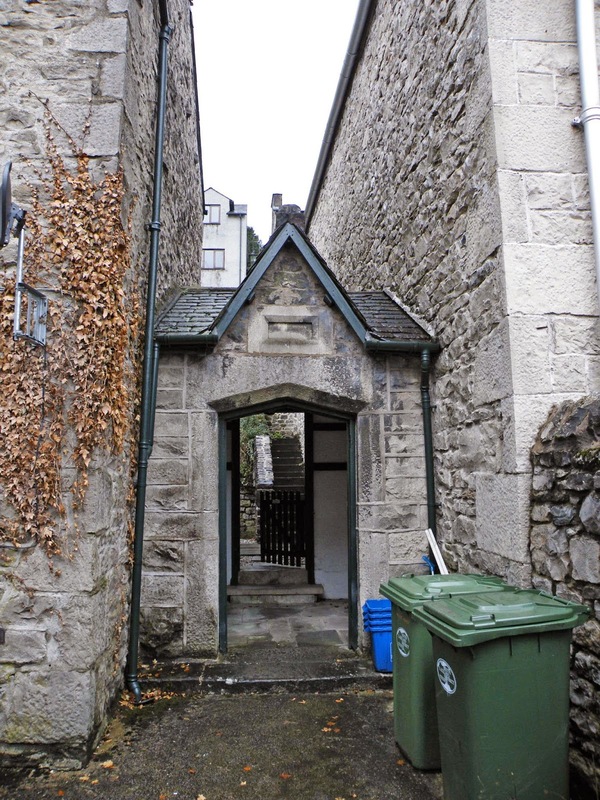 In 1809, on the South side of Kendal, another work house was opened up. The residents of this institute were offered to local farmers as workers and farm hands. This work house was situated at Anchorite Place, formaly known as Poor House Lane. In 1861, the Work House contained a wing for the 'elderly and infirm' , a dining hall, stores and workshops. One wing contained the master's accomodation (still in existence today) and offices. The West wing contained able bodied accomodation and a padded room for 'imbeciles'!! The Work House eventually became Windermere Road Institution. In 1948, it was known as Kendal Green Hospital, and in 1970, after the hospital closed, some of the building were demolished....mainly leaving the U shaped collection of buildings today known as Strickland Court. Situated at the East end of Miller Bridge, the buildings are pretty recognisable as an old fire station. There are three doorways where appliances would have been kept, with a large rear yard for their maintenance. As soon as I have more information regarding these buildings, I'll update this post. The hospital was built in 1659 by Thomas Sandes, a wealthy local cloth merchant and mayor of Kendal. Above. Kendal Civic Society's green heritage plaque. Above. The entrance leading to the Alms houses. Above. Donation box for the widows living at the hospital. Above. Date stone showing the date the hospital was built, and the date it was refurbished. 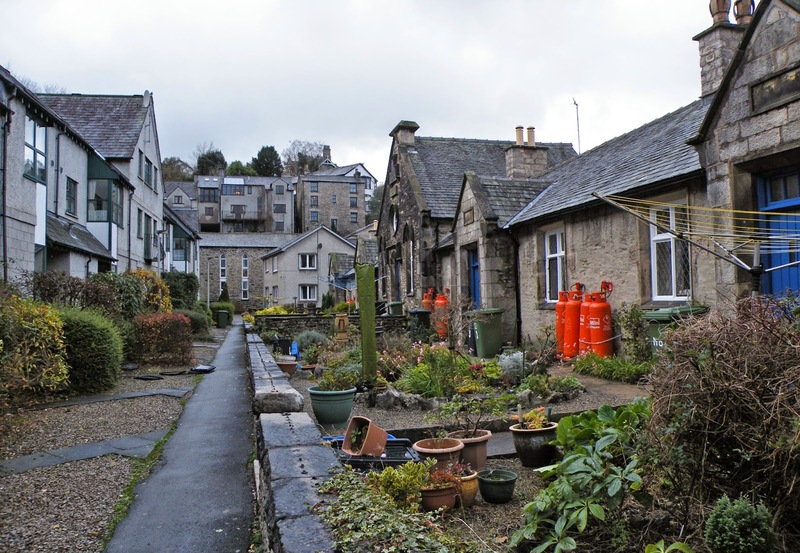 The intention was to provide eight alms houses for poor women of Kendal. At the West end of the yard, he also built a school, later to become known as the Blue Coat School. The gatehouse that faces out onto Highgate, was rebuilt by Miles Thompson of the Webster firm of Kendal in 1852. 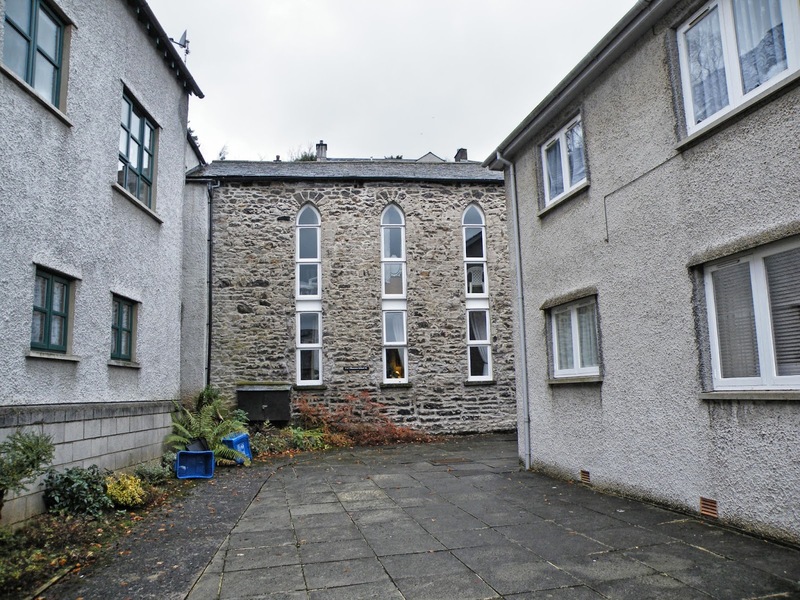 In 1886, the Blue Coat School merged with Kendal Grammar School, and then in 1980, was succeeded by Kirkbie Kendal School, the trustees of which still own the property today. The Blue Coat School has since been converted to flats. The alms houses are accessed through the gatehouse, and are built on the right hand side of the yard. Just inside the gatehouse, the iron poor collection box still exists with its plead of "Remember the Poore".